As Penang is an island, the main method of arriving there are via plane or boat, although there is also a bridge. The Penang Ferry is one of the most popular ways to get to Penang, whether for a morning commute or to see some of the tourist attractions in Malaysia. The Penang Ferry takes passengers from the mainland of Malaysia to Penang Island, specifically Georgetown, at set intervals throughout the space of the day. There are actually several ferries in Penang and each will help you arrive at various places to visit in Penang or the rest of Malaysia. The main ferry travels between Butterworth on the mainland and Georgetown in Penang. This is typically the ferry people mean if they say the Penang Ferry. Conveniently, the ferry entrance on the Butterworth side is right by the bus and train stations in Butterworth, making it easy to get there from other interesting places in Malaysia. Keep in mind that the Butterworth ferry terminal is known as Pengkalan Sultan Abdul Halim as this information can be very helpful when planning your trip via the Penang Ferry. The Penang Ferry first started operations back in 1920 and as such, it is the oldest of all the ferry services within Malaysia. The ferry ride is around fifteen minutes and you can go as an individual passenger or take your car across as well. When the ferries first started connecting things to do in Penang with mainland Malaysia, they were betel nut orange, but now they are painted in beautiful colors and patterns. The ferries are managed by PPSB (Penang Port Sdn. Bhd.) and they have eight different ferries that make the trip several times a day, meaning that you shouldn’t ever have to wait too long. While the Penang-Butterworth Ferry is the main one, there are also other ferries, such as those that travel to Langkawi or Medan. If you want to go to one of those destinations, you will need to do separate research. On the left side of the Jetty you will see the clan jetties, which are historic things and one of the lesser-known places to visit in Malaysia. On the right of the Jetty, you will find the other piers within Georgetown, such as Swettenham Pier, Tanjung City Marina, and Church Street Pier. As mentioned, you take the Penang Ferry from the jetty immediately next to Weld Quay Bus Terminal. The ferry runs between 5:30 am and 1am and the ticket price depends on whether you are a passenger or a vehicle. Adults pay RM1.20 while kids pay RM0.60 and they charge RM7.70 for cars, RM2.00 for motorbikes, and RM1.40 for bicycles. Take care of the ferries during your trip to and from Penang. These ferries have been successfully running for decades and are the main means of connecting Penang to the rest of Malaysia. While on the ferry, do not throw anything in the water as this can damage the natural environment. Set on Padang Matsirat in the northwestern section of Pulau Langkawi, the Langkawi International Airport is your entryway into the gorgeous Langkawi Archipelago with its collection of 99 gorgeous islands where all your holiday dreams come true! With over two million people crisscrossing through the Langkawi International Airport every year, it has come to be considered as one of the tourist attractions in Malaysia! With an extended renovation which takes into account an extended terminal and a runway which is able to take on huge aircraft such as the Boeing 747, this airport can completely cater for 2.5 million people per year, which makes it one of the biggest airports in Malaysia and one of the places to visit in Langkawi! So what is it that sets the Langkawi International Airport apart from the others? Let’s take a look at what makes this airport one of the interesting places in Malaysia! While the entire island enjoys duty-free status, the best port of call for quality items such as perfumes, chocolates and cigars is the Langkawi International Airport. Many tourists heading to or leaving Langkawi usually head here for the best quality items to take back home! The Langkawi International Airport is full of eateries and duty-free shops which are franchised to international brands. If you’re jetlagged after your flight and looking for something refreshing, there’s a Starbucks around the corner! Other main shops and eateries include the SkyMall, Polo, Kenny Rogers, G-shock and the Duty-Free Zone. One of the main reasons that this airport is one of the main things to do in Langkawi is the fact that it is the venue of LIMA, the Langkawi International Maritime and Aerospace Exhibition. The airport tends to be packed during this period, which usually occurs in March each year. It is an international exhibition, which leads to huge numbers of people in and out of the airport, checking out the beautiful aerospace shows, the latest news in the aviation industry and much more! Since the Langkawi International Airport is the entryway to all the interesting places in Langkawi, there’s no doubt that everyone is looking to make some money from it! Kuah Town is approximately half-an-hour’s ride from the airport, but taxis here tend to be on the expensive side. The taxi-counter offered at the Arrivals Hall offers standard fares, but you can head on outside if you wish to bargain for a better deal. Most tourists book transport online, so they can get cheaper rates. Unlike other airports, trolleys are free here and available at both arrivals and departures. So if you’ve got plenty of Langkawi souvenirs heading out, you’re in luck! Trolleys are plenty-a-piece, so take your pick! While the Langkawi International Airport offers few ATMs, you can still withdraw if you have Visa at the MayBank ATM. The MayBank branch also offers money-exchange facilities so you don’t get stuck with your dollars if you’ve forgotten to change beforehand. There are so many interesting places in Langkawi that when you do your research for your trip to Malaysia, you’ll definitely want to factor in Langkawi! There are quite a few budget airlines operating from KL to Langkawi, so all you need to do is look online and book accordingly. Whilst in Langkawi, please follow all eco-tourism guidelines since this land of nature is home to habitats which are millions of years old. 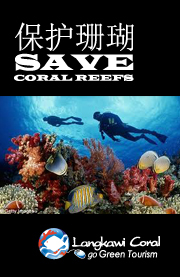 Avoid littering, damaging any ecosystems or causing havoc to your surroundings. Let’s enjoy Langkawi and leave behind only our footprints in the sands of Langkawi! One of the biggest challenges of traveling with your family is finding activities that everyone will enjoy. Adults will want to visit museums, while children tend to prefer active things to do in Penang. A great way to find something for everyone is to visit Escape Theme Park, which advertises offering activities for the entire family. While the majority of the activities and attractions at this particular park require some activity, there are also less involved ones, designed for smaller children or those who are simply less physically fit. Escape Theme Park is one of the most interesting places in Malaysia for its unique attractions that take advantage of the country’s natural beauty while giving your kids a way to blow off some energy and a day to remember. The Tots Trail is one of the main attractions and it is a mini rope course designed for kids. Others include roller racing with Zoom Bug, the jumping platform at Atan’s Leap, climbing at Gecko Tower, Monkey Business for a full-sized rope course, and Tubby Racer which involves riding downhill in a tubby tube. While those are the attractions the park considers to be their main ones, they actually offer over a dozen in total, making it full of great things to do in Malaysia. You can climb through a cave at Foxy Burrow, climb trees at Go Ape or Coco Climb, swing through trees at Tarzan’s Rope, pan for treasures at Discovery Dig, cool off at the Dunk Tank, or attend Monkey School for younger children to work on coordination before trying the other activities. Your children can also learn at Serambi, get their face painted, walk across the Balance Beam, go through the spooky A-Maze, or climb and zip with the Flying Lemur. There is also a play area for children under four. Because Escape Theme Park hosts some of the more adventurous and physically demanding tourist attractions in Malaysia, they make safety their top priority. Each activity has minimum and maximum height and weight requirements for safety and they require you to wear athletic shoes for increased safety. As a bonus, Escape Theme Park is one of the many places to visit in Penang that aims to be environmentally friendly. They do so by collecting rainwater, having a filtration pond, using thatch roofing to cool buildings, and recycling materials. Escape Theme Park can be found in Jalan Teluk Bahang, just a few hundred meters before the Penang Butterfly Farm. The park is closed on Mondays (except school holidays), but open every other day from 9am to 6pm. If you plan on visiting the park frequently, you can get an annual passport for RM225 (between ages 4 and 12) or RM300 for adults. Otherwise, those under four will have free entry. Those between 4 and 12 or over 60 pay RM48 and “Big Kids” between 13 and 60 pay RM68. Safety is always the top concern when at a tourist attraction like Escape Theme Park, but keep the safety of others and the planet in mind as well. Respect all of the activities and areas and do your best to leave everything exactly as you found. Only by doing so, will future visitors be able to appreciate the park. If you’re heading to Langkawi, don’t forget to check out the amazing Datai Bay Beach! Considered to be one of the most beautiful beaches in the world as well as one of the best tourist attractions in Malaysia, Datai Bay Beach is the true symbol of what life on the Langkawi Archipelago is like: gorgeous, relaxed, tranquil and most of all, heavenly! While all the beaches in Langkawi are generally considered amazing and fun, there’s something quite different about the ambiance of Datai Bay Beach! This ambiance is what makes it one of the prime things to do in Langkawi. The silence, the nature, the sound of birds calling and waves crashing against the shore, the peace, the tranquility: This is what makes Datai Bay Beach different from the other Langkawi Beaches and one of the interesting places in Malaysia: its heavenly silence where the sounds of nature dominate! Set in the Datai Area at the north-western tip of Langkawi, Datai Bay Beach is a majestic, curved shoreline measuring 1.5kms from one half-moon tip to the other. This beach is used by the ultra-swanky Datai Langkawi and the Andaman resorts, who offer their guests complete beach privacy. To enjoy the beach, you either have to be a guest of these resorts or someone with prior permission. However, if you wish to view the beach, you can opt to go along Jalan Datai after the Andaman Resort and use a narrow road which goes through the forest up to the beach! Beach access is restricted, but you can come here to take magnificent photos of the beach, even if you can’t enjoy it without permission. Datai Bay Beach is the perfect place to take that sweaty-cold drink, lie down on a sun-lounger and while the day away with your long-awaited-to-be-read novel. The glorious white sands, emerald waters and gentle sun-rays giving you a golden tan: it’s all out of a fantasy, right? This is what the Datai Bay Beach promises: a day out of the pages of perfection! The beach itself is quite remote and far from popular beaches such as Pantai Cenang, which aids in giving it that remote, back-to-nature feel! The closest places to visit in Langkawi which are a stone’s throw from Datai Bay Beach are the Langkawi Crocodile Farm and the Ibrahim Hussein Foundation. One of the main point that makes Datai Bay Beach one of the favored things to do in Malaysia is its amazing panorama. The beach curves just like a horseshoe, ending into a lush, forested area on the left, whilst curving towards the right up to the foothills of Mat Cincang! Gaze over the aquamarine waters and you’ll find Pulai Anak Datai right ahead; a mystic sight indeed! The Datai Bay Beach is an exquisite nature destination in Langkawi, and is linked to both the Ocean and the Rainforests of Langkawi. Please avoid damage to the trees, polluting the beach with litter which could cause harm to the natural ecosystems of both flora and fauna on and around the beach! 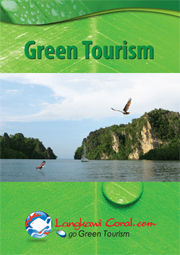 Let’s practice eco-tourism principles, which will help preserve Langkawi’s natural beauty for the centuries to come.